Ecco Domani is the wine perfect for holiday entertaining. Versatile and delicious, opening a bottle and toasting friends and family is just the holiday cheer we need. 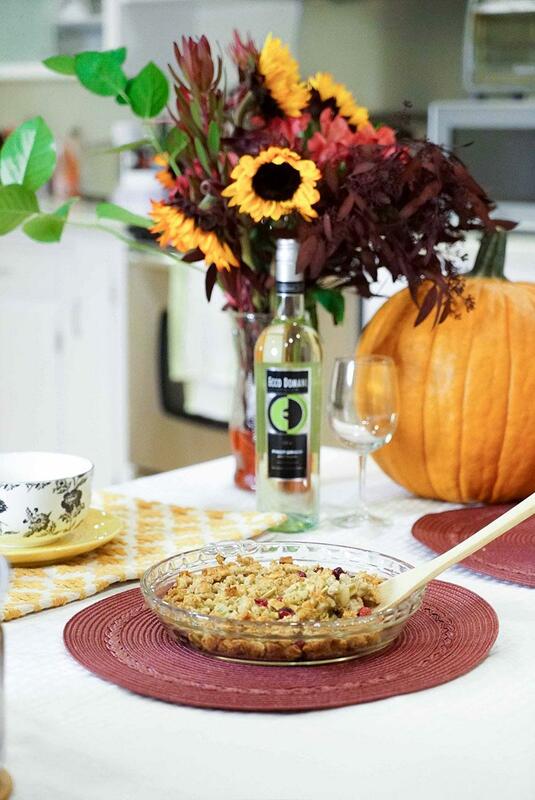 Ecco Domani's Cranberry Fig Stuffing recipe is a sweet and savory upgrade to traditional stuffing that complements the bright flavor profile of Ecco Domani Pinot Grigio. Open a bottle and make a festive fête of holiday cooking with Ecco Domani wine and these holiday recipes, curated to pair perfectly with Ecco Domani wine!